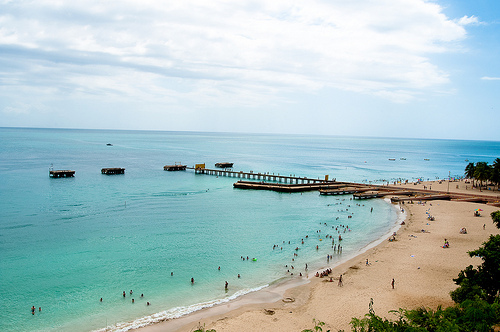 A good fare to enjoy the beaches of Aguadilla. Valid for travel from September – December, 2014. Must purchase at least 21 days in advance of departure. 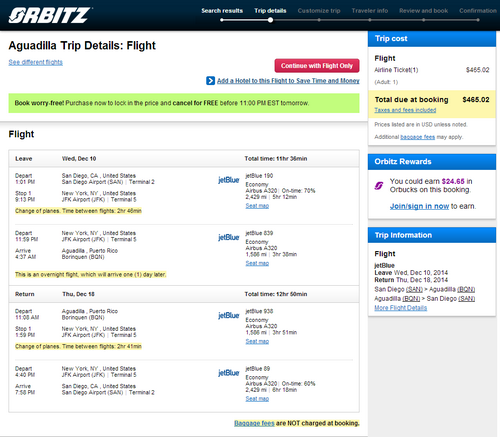 Book on Orbitz using dates found on ITA Software Matrix Airfare Search. Make sure “Additional search options” is selected then check “Narrow the search to my preferred airlines” and select “jetBlue”.